Humans feel the need to be notified about the things they don’t know or have little knowledge of (especially if it concerns them), that’s a fact. A notice is something that does that job for us, humans. Notices provide notifications, or warning notice about a certain subject or fact. 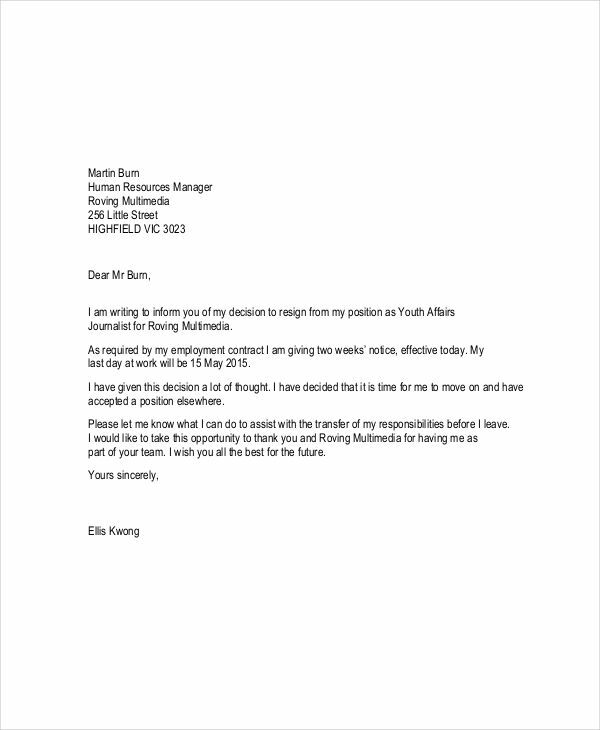 A resignation notice is just one among the many notices we know of. 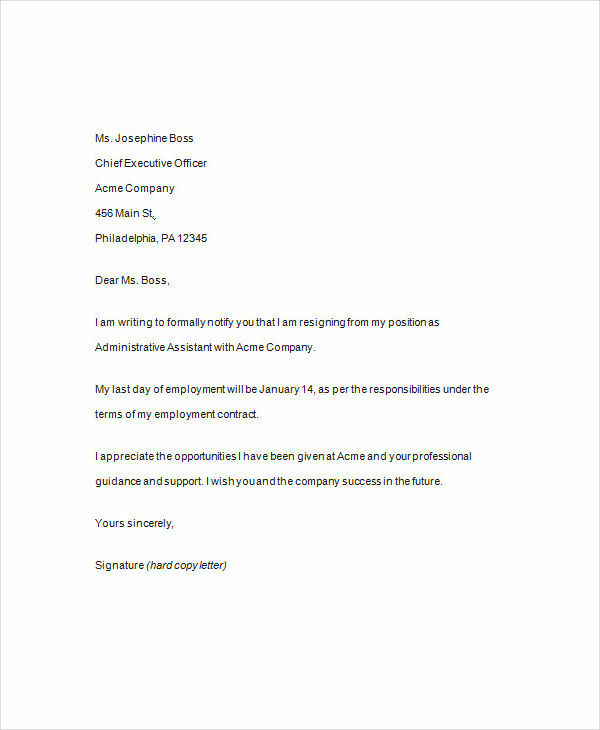 Generally, a resignation notice serves to notify an employer that an employee is leaving his/her current job or position. It is necessary for an employee to send a notice, instead of quitting without notice. 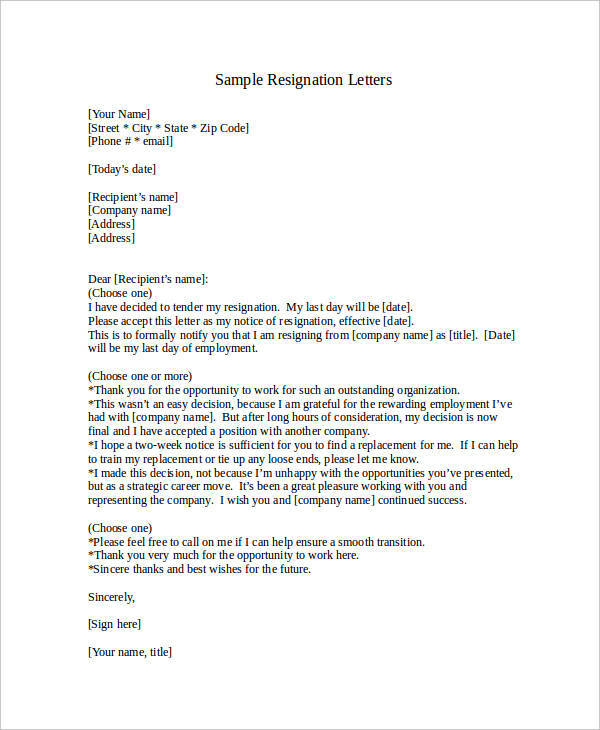 Aside from informing your employer about your leaving the current position you hold in their company notice, a resignation notice will allow you to leave a good impression to your employer and coworkers. 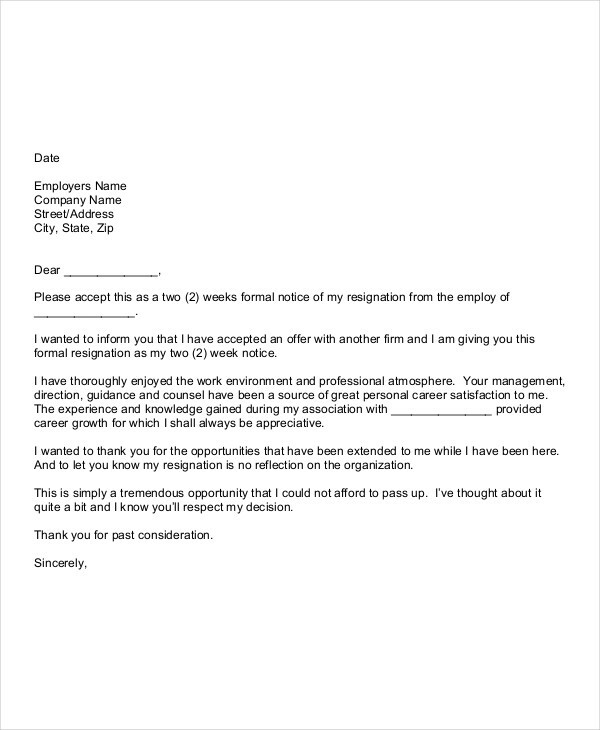 Informing your employee notice a few days before quitting means you respect them as your employer, and as a person. Again, this gives the employer a chance to do the necessary preparations before you leave, either find a replacement for you or start the process of finding one. And of course, when certain circumstances does not allow you to personally inform them about your resignation, notices will simply do that for you. This keeps your professionalism intact, and you can walk away without hurting yourself or another party. Statement or statements indicating that you are leaving. Date your resignation becomes effective, and your last day of work. Reason or reasons as to why you are leaving. Positive insights and experiences you have acquired in the job. Statement or statements politely thanking your employer or coworkers. 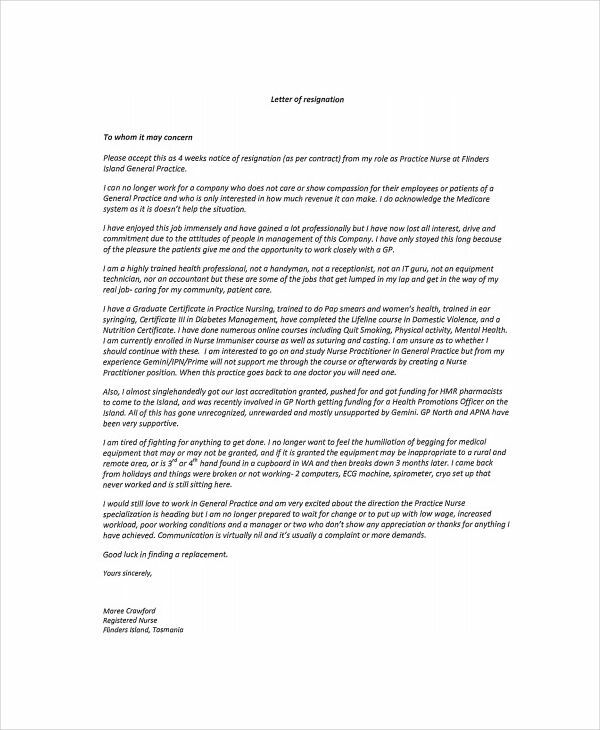 Statement saying you are willing to help the company before you leave (e.g., training some staff or your replacement). 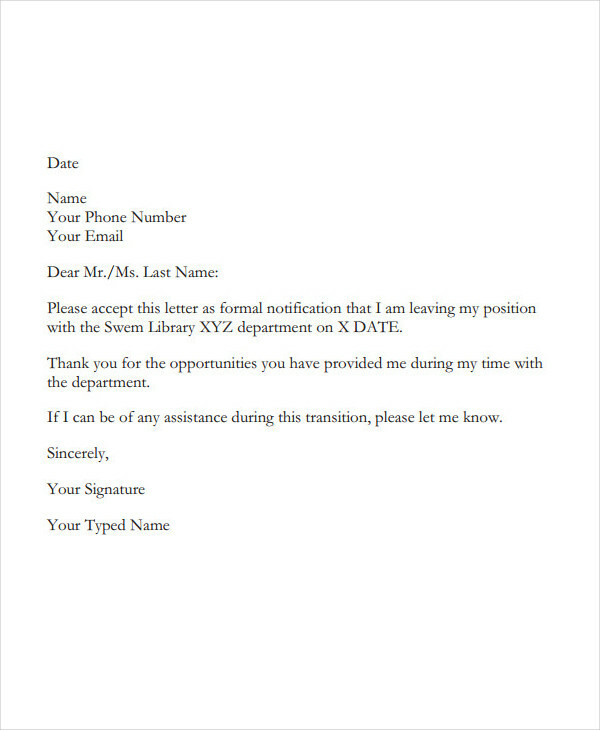 Begin with a polite and formal salutation. Write the contents in a clear and specific way. Go straight to the point. If you are leaving, make it clear to them that you are leaving. Do not include remarks which may not mean anything to you or your employer. Be professional from the beginning until the end of your notice. Write in a formal way. Avoid using casual language, or anything that reveals your personal emotions. Be polite. Mind the length of your notice. Your employers do not have all the time in the world, and they’re probably busier than you so make your short notice. End with an official and formal closing remark. 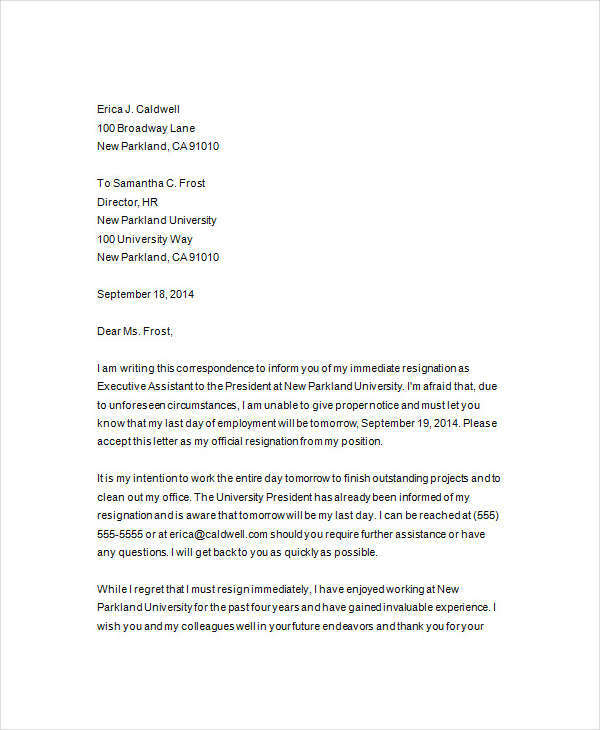 Read your letter a few times before submitting it. And don’t forget to create a back-up copy.